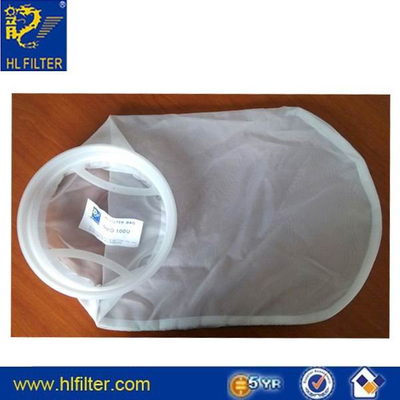 HL Nylon monofilament filter bag are using high strength nylon mesh and sewing. Absolute accuracy level, filter than its mesh big magazine trapped on the material surface; diameter less than mesh particle passes through the mesh into downstream. Therefore, nylon monofilament filter the filter surface and smooth surface is convenient for cleaning, can be used repeatedly. 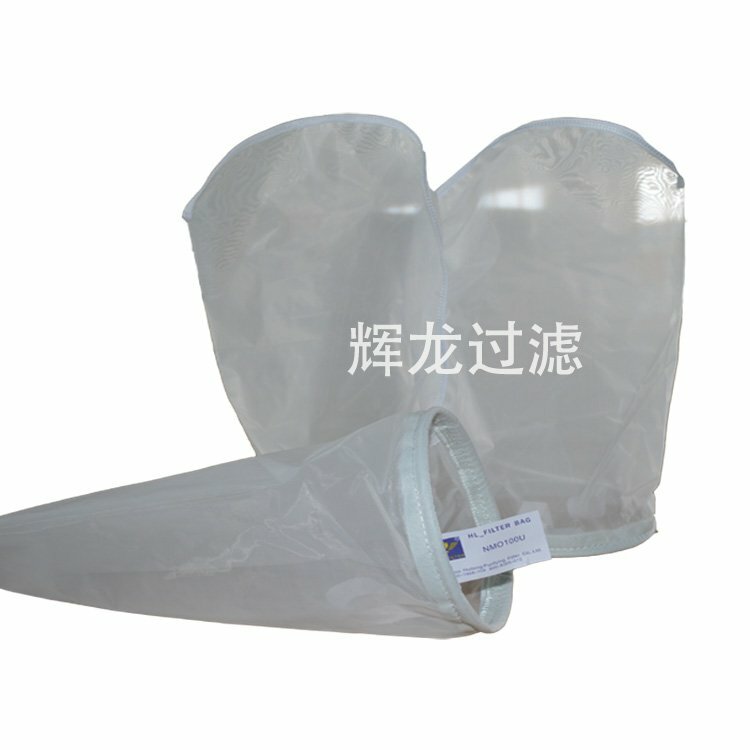 HL nylon monofilament filter bag in the production process adopts unique wrapping or lining non-woven technology and in the maximum extent to prevent leakage stythe eye of a needle. 25-2500 microns Huilong seam monofilament nylon bag filtration precision scope, the pockets with stainless steel ring, galvanized steel, PE / PP engineering plastic sealing rings.